Everyone deserves to live in a safe, affordable community. Home is more than a set of coordinates—it can have a powerful impact on quality of life, stability, and health. NeighborWorks America has been striving for 40 years to ensure that individuals and families have opportunities to thrive, find pathways out of poverty and revitalize their communities. There are millions who still live without these resources. We can reach them, and you can help. "We're excited to be able to help share the ideas and strategies that make rental housing more accessible and sustainable for individuals and families across the country." NeighborWorks America's national initiatives offer resources that amplify the reach of our 240+ network organizations to support the community development sector through innovative services and training. Learn more about our impact. We need the help of corporations and foundations to create sustainable change in the communities that need it most. Collaborating with NeighborWorks America shows your commitment to social responsibility and gives your company a vital role in strengthening communities and improving lives. Supporting NeighborWorks as a partner means much more than making a monetary contribution. It is a commitment to a shared vision that all individuals deserve decent, healthy homes they can afford — and safe communities where their children can grow and thrive. 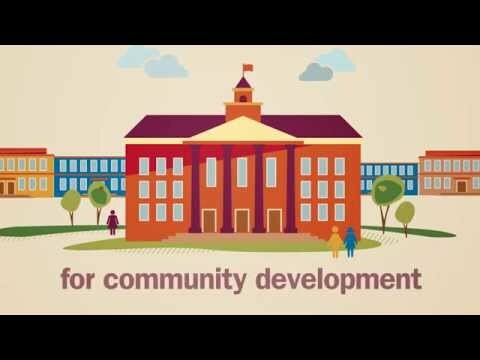 NeighborWorks America is the country’s preeminent leader in affordable housing and community development. We are the nation’s top trainer for professionals in the field, and our counseling certification is recognized by the U.S. Department of Housing and Urban Development (HUD) as setting industry-wide standards for the industry. The more than 240 organizations that comprise the NeighborWorks network must meet stringent membership criteria and undergo rigorous reviews every year to ensure they are delivering the highest-quality and most efficient and effective services to lower-income communities nationwide. View our national impact data. In the last five years alone, NeighborWorks organizations have generated $22.5 billion in local investment and helped almost 2.5 million families of modest means purchase or improve their homes; secure safe, decent rental housing; or receive foreclosure counseling. Leading corporations and private foundations alike put their trust in NeighborWorks' 40 years of experience, impact and credibility. Together with our foundation, business and public-sector partners, NeighborWorks continues to be a transformative agent, providing people of all means the opportunity for safe, decent communities in which to live and raise families. Please contact us at development@nw.org.